4 features of Nic Salts you may benefit from. 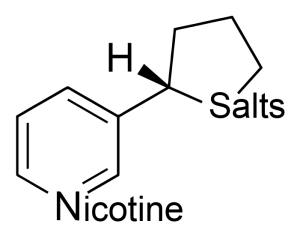 Nic salts are another form of nicotine to blend with PG or VG. Thanks to its form, e-liquids based on nicotine salts have longer shelf-life. They also have less oxidation than the traditional e-liquids, and lower pH level. Chemnovatic at Next Generation Nicotine Delivery 2017 in London. Next Generation Nicotine Delivery is an international conference on nicotine market trends, public health opinion and product innovation. This year it takes place for the 4th time, on the 14th and 15th November in London, UK. 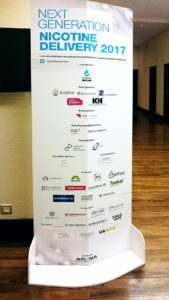 Chemnovatic is attending the conference being a Roundtable sponsor with Marcin Górecki – our TPD specialist being one of the speakers. As you can see, Marcin’s prelection on CLP and REACH influence on nicotine based products takes place tomorrow at 11:30, so you still have plenty of time to make it to London. REACH and CLP summary on the example of PureNic 99+ pure nicotine. Welcome in our third and last article about REACH and CLP. We didn’t have the time and opportunity to talk about all requirements coming from one of the biggest regulations in EU, but we will try to summarize the most important ones. Let’s do it on the example of our flagship product – PureNic 99+ pure nicotine. When looking at nicotine description on our website, you will find Safety Data Sheet (SDS) among other documents. SDS is required by REACH and it is supposed to be created for every hazardous substance. Supplier of a substance or mixture has to deliver a SDS to to the entity that purchased said product. On our website you will find the most recent version of the SDS, because this year a new CLP harmonized classification for nicotine has been published. What is a harmonized classification? This is a classification that is mandatory in every EU country. Many substances have a standardized classification, that makes it easier to manage the risk associated with the substance. According to Commission Regulation 2017/776 every manufacturer has to adjust their nicotine and nicotine products to new guidelines until 1st December 2018. We started doing it already – our SDS contains information compliant with the most recent classification. New CLP classification will also impact nicotine e-liquids, which until now didn’t have to be classified as hazardous. New test results for nicotine proved that nicotine is considered more dangerous than before. The consequence of this change will be a new labelling system for nicotine and its produts and also new requirements considering transport conditions for products that were free from CLP regulations until now. Regarding the packaging you can find elements that come from REACH – pictograms such as the exclamation mark, skull or dead fish; warning sign such as DANGER or WARNING and also Hazard statements and Precautionary statements. For very toxic substances or mixtures, you will also find a convex triangle that signals danger to the blind people. Of course our nicotine is also pre-registered, as we mentioned in the first article. Our pre-registration number is 17-2120051720-67-0000. Right now we are half way to completing full-registration. This requires us to sign an agreement, pay appropriate fee and then make the registartion on REACH-IT website, using IUCLID tool. After completing full registration you will be able to find us on echa.europa.eu to confirm our status. The obligations associated with REACH are not over after the introduction and adherence to these requirements. You should follow up if there aren’t any further changes to the regulation, and i should mention, that there have already been 10 updates. As you can see REACH is a comprehensive piece of legislation, and its exact exploration is a hard piece of work for many specialists. We are constantly trying to expand our knowledge. In the near future, you will be able to meet us at the Next Generation Nicotine Delivery 2017 in London, where we will talk more about this issue. Thank you for your attention and we hope that we have managed to get you a little bit closer to the issue of REACH. Have a nice day.